Violet lasers for burning next-gen optical disks just got a lot faster. Next-generation high-definition optical disks are all very well, but - as anyone with a home HD DVD or Blu-ray burner will confirm - filling one with data brings on a very floppy-disk-type feeling of life in the slow lane. Fortunately, that's set to change when Nichia Corporation's super high-power disk-writing laser makes its way to hardware manufacturers over the next year or so. 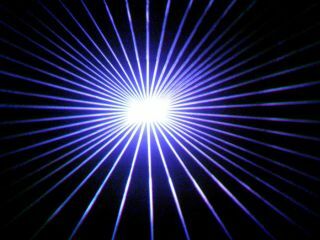 The violet semiconductor laser diode speeds things up in leaps and bounds - a dual-layer HD DVD or Blu-ray disk can now be written at 12x speed, while even a four-layer platter can be filled at 2x speed. Naturally, the progression seen by CD and DVD writers in the past will see speeds zoom upwards (and hardware prices fall) before too long, but the Nichia contribution is a good starting point.